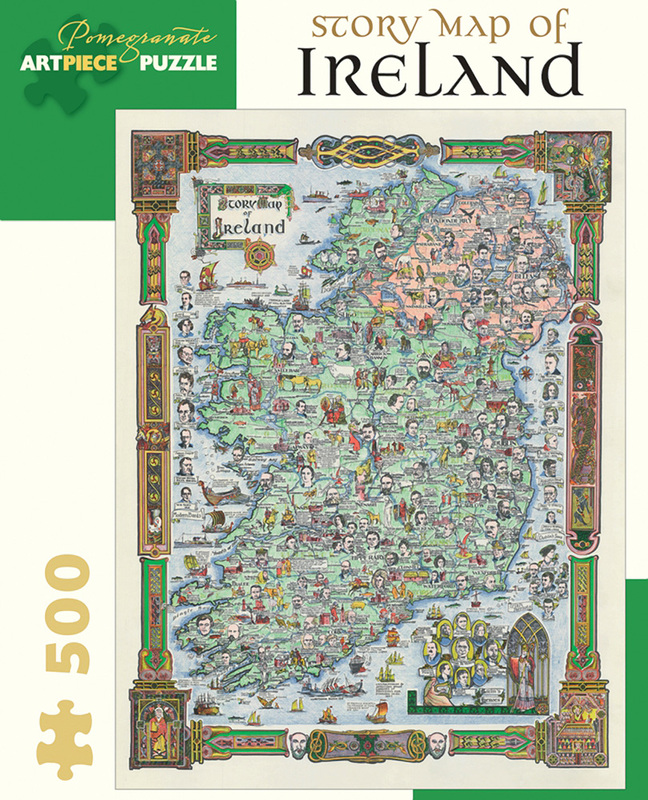 This delightfully detailed pictorial map of Ireland was part of a series of “story maps” produced by Colortext Publications in the 1930s and 1940s. 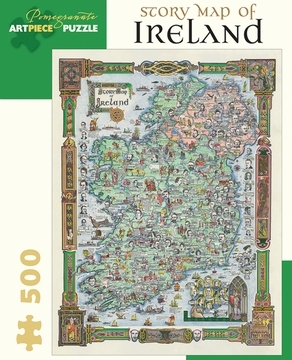 The Story Map of Ireland features historical facts about Éire’s major battles, discoveries, and cultural events; basic geographic details, including elevations, bodies of water, bays, counties, and towns; as well as intricate borders and title decorations adapted from the Book of Kells and Book of Mac Durnan illuminated manuscripts. Captions labeling landmarks such as lighthouses, castles, and universities intermingle with bits of whimsy such as a leprechaun and a limerick. Amid the ships of many centuries sailing the surrounding seas are the portraits of “Dublin’s Sons,” “Irish Patriots,” “Erin’s Heroes,” and “Modern Bards.” The Story Map of Ireland is one of many such creatively illustrated maps included in the world’s largest cartographic collection, the Geography and Map Division of the Library of Congress.